Here is a tutorial on ways to use PowerPoint in the classroom. They also talk about how to use the 2007-2010 ribbon. "Before you even open up PowerPoint, sit down and really think about the day of your presentation. What is the real purpose of your talk? Why is it that you were ask to speak? What does the audience expect? In your opinion, what are the most important parts of your topic for the audience to take away from your, say, 50-minute presentation? Remember, even if you've been asked to share information, rarely is the mere transfer of information a satisfactory objective from the point of view of the audience. After all, the audience could always just read your book (or article, handout, etc.) if information transfer were the only purpose of the meeting, seminar, or formal presentation." One technique that can be used when preparing a PowerPoint show, is to import material from an existing Word Outline. If the Word document is formatted with Heading styles, Heading 1 will become a new slide and the subsequent headings, 1 through 6 will become bullet points on the slide. It may be desirable to prepare notes for each slide while developing the Word outline. Notes don't appear on the slide, they are placed on a separate page that can be printed out for the speaker or handed out to the audience. 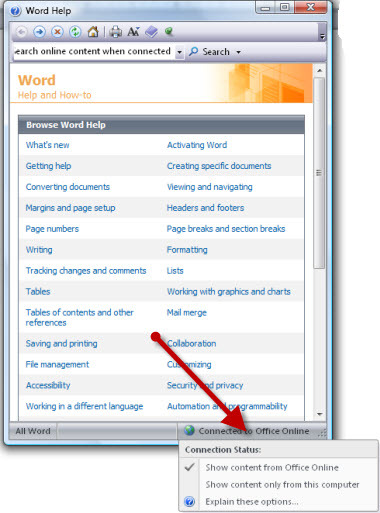 "This macro outline allows the user to use Word's "Send To PowerPoint" feature, then run this macro to get notes from MS Word to PowerPoint as notes. The macro allows you to set the text level you want to become the notes. The presentation doesnâ€™t start for a few minutes or, maybe, a half an hour. As the audience wanders into the room, you can entertain them. Set up a continuous loop show that will run without any intervention. You can show photos of the product or interesting small facts. Display background information that you wonâ€™t have time to cover in your presentation. "Custom shows is all about creating a presentation within a presentation. Instead of creating multiple PowerPoint files, nearly identical presentations for different audiences, you can group together and name the slides that differ and then jump to these slides during your presentation. 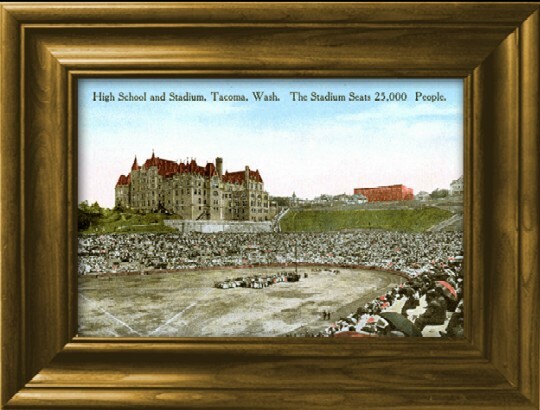 The slides in the show can be re-ordered to appear in a customized sequence. For example - you might want to give a presentation to two groups that work at two different locations. The slide show includes slides 1 through 15, which are identical for both groups, and two custom shows, each specific to one of the locations. You can show the first 15 slides to both groups and then jump to a custom show named 'location 1' for the first group and to a custom show named 'location 2' for the second group." Office Tips is an MVP site by Shyam Pillai. Creating and Presenting Custom Shows in PowerPoint XP from CramSession.com. A slide looks best when the objects line up correctly. While it can be done by trial and error, it is easier to use the Grid and Guides feature. Go to View>Grid and Guides. 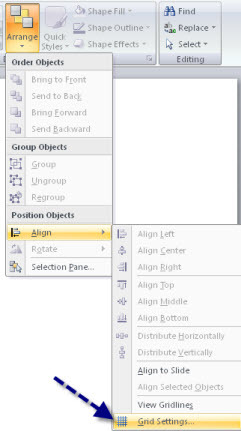 Choose to put a check to select Display grid on screen and/or Display drawing guides on screen. If you like using guides, you can produce additional guides by holding the CTRL key while dragging on an existing guide. Extraneous guides can be dragged of the screen. Blogger/entrepreneur Guy Kawasaki is in league with the minimalist branch of the PowerPoint society. Tired of sitting through mind and body numbing presentations by people more interested in technique than content, he is evangelizing the 10/20/30 Rule of PowerPoint. If "thirty points," is too dogmatic, the I offer you an algorithm: find out the age of the oldest person in your audience and divide it by two. That's your optimal font size. Commercial studios will convert your presentations for you, but if you want to get your hands dirty (at least the tips of your fingers), here is how to do it yourself. Face it; we've seen every graphic in ClipArt and every background color combination. Putting a frame around an ordinary object can make it pop. Here is a link to instructions about how to frame your pictures. There is also a download for extra frames. Yes, now we can add Iraq to the evils perpetuated by PowerPoint. "Not only is it easier to throw together a stack of PowerPoint slides than it is to write that 10,000-word document, it is much easier to leave out or gloss over parts of the project that might not survive close scrutiny if they were described in complete sentences. Can you say "weapons of mass destruction?" If we cut to the heart of this current controversy about whether Iraq really had WMD, whether the U.S. honestly believed Iraq had WMD, and who got it wrong, I'm sure we'll end up with a guilty PowerPoint stack. In that stack, you'll find a slide containing the words "Iraq" and "WMD" but taken out of context, there is no way of knowing what the presenter even intended the slide to mean. Thus, we have plausible deniability through PowerPoint." For eight years from 1987-95, Robert X. Cringely wrote the Notes From the Field column in InfoWorld, a weekly computer trade newspaper. He is also the author of the best-selling book Accidental Empires: How the Boys of Silicon Valley Make Their Millions, Battle Foreign Competition, and Still Can't Get a Date. Most recently, Cringely is the host and writer of the hit PBS-TV miniseries "Electric Money." Most of you would know that you can insert slides from another presentation by using the Slides from files menu option in the Insert menu. This is another (harder) way to do the same. Open the presentations you want to copy/move slides to and from. Click Slide Sorter on the View menu. 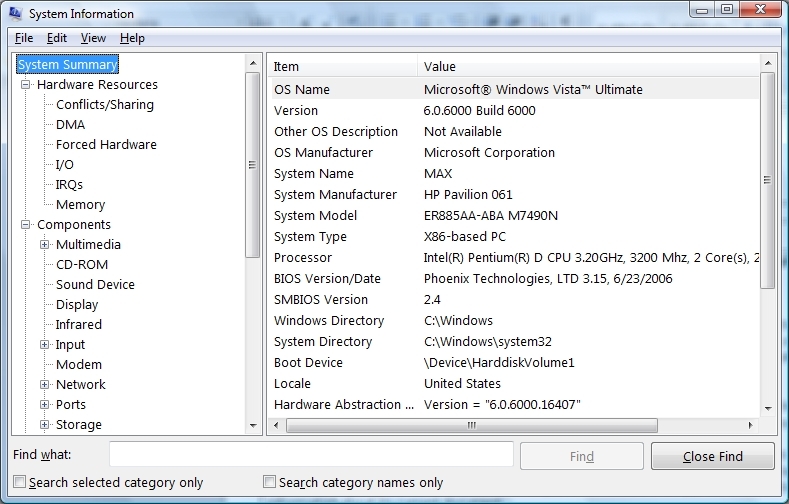 On the Window menu, click Arrange All to display both presentations. Click the slide you want to move, and drag it to the other presentation. When you drag and drop slides between presentations or from PowerPoint to other apps, Windows moves the slides instead of copying them. To keep the slides in the original presentation as well, press Ctrl while dragging and dropping. To select multiple consecutive slides, click on the first one, then click on the last one while pressing the Shift key on the keyboard, and all slides between the first and the last will appear highlighted. Note: To select more than one noncontiguous slide, press Ctrl while you click. BoxesandArrows.com is an online magazine. "Boxes and Arrows is the definitive source for the complex task of bringing architecture and design to the digital landscape. There are various titles and professions associated with this undertaking — information architecture, information design, interaction design, interface design"
Seth Godin writing a self-published how-to article called "Really Bad PowerPoint"? Scott McNealy of Sun Microsystems banning its use? Peter Norvig parodying PowerPoint with the Gettysburg Address (or is it vice versa)? The New Yorker profiling a working mother who uses PowerPoint to "pitch" cleanliness to her two kids? Fortune Magazine calling it an "epidemic that threatens the cerebrums of business more than bovine spongiform encephalopathy"? Visualization guru Edward Tufte practically having fits? Leslie Harpold and Michael Sippey duking it out to create attractive presentations? "Frequently there is a need to capture information in a PowerPoint presentation. For example, when making a presentation before an audience, there might be a need to capture comments and questions as the presentation proceeds. You might also have a need to capture answers to a quiz or survey, or to record game responses. You can download a small (12KB) presentation by clicking on notetaker.zip that demonstrates the method. Unzip the file (notetaker.pps) and click on it to see it in Slide Show mode. Please note that this method requires the use of an Active-X control and therefore only works when run from PowerPoint. It will not work in the Viewer." It does work in 2007. See more tutorials and PowerPoint downloads at Sonia Coleman's web site, Digital Studio. Is there anyone who has not seen a PowerPoint presentation? In class, in business, at seminars, at any gathering of two or more people the blue screen of PowerPoint will appear. Data Analysis for Politics and Policy. He is Professor Emeritus at Yale University, where he taught courses in statistical evidence, information design, and interface design. If you are ever within 300 miles of a city presenting Tufte's one day course: "Presenting Data and Information", GO! "Particularly disturbing is the adoption of the PowerPoint cognitive style in our schools. Rather than learning to write a report using sentences, children are being taught how to formulate client pitches and infomercials. Elementary school PowerPoint exercises (as seen in teacher guides and in student work posted on the Internet) typically consist of 10 to 20 words and a piece of clip art on each slide in a presentation of three to six slides -a total of perhaps 80 words (15 seconds of silent reading) for a week of work. Students would be better off if the schools simply closed down on those days and everyone went to the Exploratorium or wrote an illustrated essay explaining something. " I agree, Tufte is a smart man, and people should go see his talk. I saw him last year in Boston, and the price of admission included three of his books. He risks throwing the baby out with the bathwater. Sure, using many of the defaults in PowerPoint (or Excel or Word) will produce a less effective document. It is up to the user to adjust his/her use of such tools to avoid the narrow-mindedness that indiscriminate use of the tools can impart. PowerPoint's a decent tool, one I use frequently in conjunction with Excel and Word in the solutions I create. I didn't know you'd written a PowerPoint book. It looks like it's geared toward UI use of Ppt. Do you know of any sources dealing with programming of PowerPoint? I think he serves a purpose by exposing a viewpoint far to one side, so that others can say "I wouldn't go that far, but ..."
There's not much on PP VBA. A trigger is an object on your PowerPoint slide - a picture, a shape, a button, or even a paragraph or text box. When you click on it an action is initiated. The action might be a sound, a movie, an animation, or text becoming visible on the slide. "Here's a Power User column for teachers. Want to involve your students more in a presentation? Set up "triggers" for them to click as they go through the show. Triggers (related to animations) let you add surprise to your slides while inviting your viewer to take part and have fun." How do I join the PowerPoint newsgroup? You apply a design theme to a presentation in Microsoft Office PowerPoint 2007. You insert an embedded Microsoft Office Excel chart object into a slide in the presentation. You save the presentation in the PowerPoint 97-2003 Presentation (*.ppt) format. In this scenario, when you open the presentation in Microsoft Office PowerPoint 2003 and then edit the chart, the theme information that is applied to the chart is lost. Instead, the default Microsoft Office color theme is applied to the embedded Excel chart object. Additionally, the text in the chart changes, and the chart shrinks. Note This problem also occurs if you create a .doc file by using Microsoft Office Word 2007. Then, when you edit the chart object in Microsoft Office Word 2003, you experience these symptoms." PowerPoint 2007 and Word 2007 use Excel to insert charts. When the file is saved in 97-2003 format, you lose that feature. Do not edit the chart in PowerPoint 2003. If you edit the chart in PowerPoint 2003, remove the chart. Then, use PowerPoint 2007 to reinsert the chart." Dave Paradi has an article about how to design PowerPoint shows for those with limited hearing or vision. Microsoft has put together a list of locations, forums, blogs, etc. that cover PowerPoint. You'll probably find that your question has been answered at one of these spots. 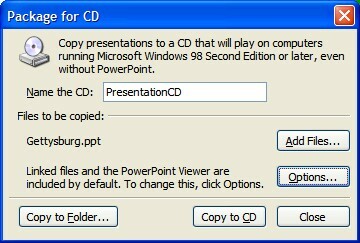 If you have to show your presentation on a machine that does not have PowerPoint installed, you can use " Package for CD. " Before 2003 it was named "Pack and Go." The Dialog box will walk you through the process and offer to include the PowerPoint Viewer. The problem with the earlier versions of PowerPoint, through 2002, was that the viewer only handled the features available in PowerPoint 97. The PowerPoint 2003 Viewer lets you view full-featured presentations created in PowerPoint 97 and later versions. What happened to Pack and Go? "Want to truly impress your customers with a multimedia presentation about your business? You can easily make your Microsoft Office PowerPoint 2003 presentations more portable by burning them onto a CD. By including the new free PowerPoint 2003 presentation viewer on the CD, presentations can be distributed to and viewed by audiences who do not use Microsoft Office." A speaker can be called upon to present programs almost anywhere. Every site is unique and has its own problems. Your show may, also, have to be sent out on its own. Word 2007 doesn't allow you to publish to PowerPoint 2007 by default. They're a bit restricted and simplexat this point, but you can also import files and convert them for sharing or publication. It's mouse and keyboard quick! 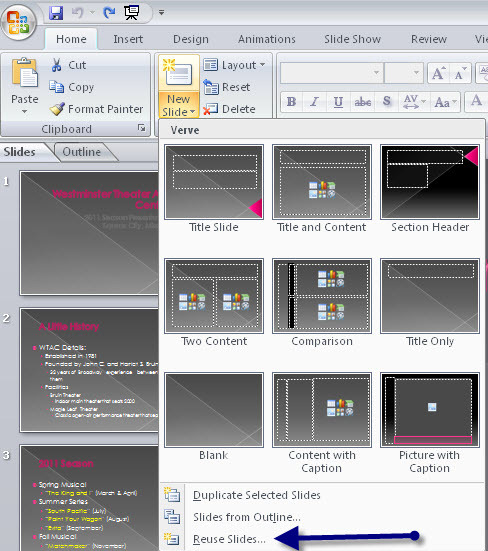 With PowerPoint 2007, View>Presentation Views>Slide Master will take you to the Slide Master View. The same location shows Handout and Notes Masters. A shortcut involves using the Shift key. When you hover over these 3 mini buttons, hold down the Shift key. The mini buttons will now become Slide Master view, Handout Master view, and Set Up Show respectively." The Setup Show is on the Slide Show tab in the Setup group. The Shift key is a cooler way to bring it up quickly. Thanks to Lucy, an MOS Master Instructor from Australia; aneasiertomorrow.com.au. First, be aware that this is not for everyone. You may not have a need to do this, and/or may not want to shell out more software money. This requires Adobe Acrobat Pro, which runs about $449 retail. "First, make sure you're using the right Acrobat software. With Acrobat Standard, you can add sound to documents but you can't import video clips. To create documents containing both video and sound, you'll need to use Acrobat Professional, which contains all the tools necessary for integrating media in PDF documents. Acrobat is not a presentation-authoring program, so you'll need to use an application like PowerPoint to create your presentation. Some people use page-layout software to create presentations, but for animated effects, PowerPoint is the easiest tool for adding motion to both text and objects. Add your desired animation and motion effects in PowerPoint before exporting to PDF. The visuals you create in PowerPoint display in an Acrobat viewer after PDF creation as long as you follow a few rules." PlanetPDF offers other Acrobat tricks. Hyperlinks can be harmful to your computer and data. To protect your computer, click only those hyperlinks from trusted sources. To disable the hyperlink warnings in 2007 Office programs when an http:// address or an ftp:// address is used, you must create a new registry subkey. In the Open dialog box, type regedit, and then click OK. Note You only have to modify one of these registry subkeys. You do not have to modify both of them. In the Edit DWORD Value dialog box, click Decimal, and then type 1 under Value data. Note A value of 0 enables the hyperlink warning message. A value of 1 disables the hyperlink warning message. "The situation usually is that someone has spent the time to create a wonderful slide show with music set to start on the first slide and run throughout the entire presentation. Unfortunately, when the presentation is saved as HTML, and it is tested, the music plays only on the first slide. This article will not only explain what to do, it will also give you exact HTML code and tell you where to put it in the file. " Michael Koerner (MS PPT MVP) has a sample PowerPoint to HTML. Easily reuse content with Office PowerPoint 2007 Slide Libraries. Dramatically modify shapes, text, and graphics with new SmartArt graphics tools and effects. Add more security to your PowerPoint presentations. Reduce your document sizes and improve file recovery at the same time. Count down the time remaining for the presentation. Optionally, it includes the ability to terminate the presentation at the end of a separately configurable grace period! Because of changes in how the preview image is saved in Microsoft Office PowerPoint 2007, in Microsoft Office PowerPoint 2003, and in Microsoft PowerPoint 2002, the preview image File Open dialog box is more difficult to read than in PowerPoint 2000 and earlier versions. Type Preview Picture Precision, and then press ENTER. Click Decimal in the Base area. Type 320, and then click OK.
... (the) CEO of Whole Foods Market, John Mackey, gave a presentation called "Past, Present, and Future of Food" for an audience of 2000 in Berkeley, California. ... (he) was there to make a presentation and have a conversation that would . . . (show) a skeptical Berkeley audience that his large company still has the credibility to lead the food movement into the future.
. . . Most people felt that the evening generally was successful given Mackey's sincerity, honesty, and general likeability, but John Mackey's "multimedia presentation" as it was billed, could have been so much more.
. . . (the) presentation in Berkeley is a wonderful example of a presentation by an intelligent, personable, and passionate leader that easily could have been insanely great but was not. "[He] raced through the slides like a Ph.D. student presenting his dissertation," said the UC Berkeley reporter in the audience.
. . . it's a shame the presentation itself was not better planned and delivered given the importance of the topic and the profile of the speaker. Frankly, when you're trying to change the world, there is no excuse for being dull. It's a story. This topic screams "Story" yet there was no story that I could follow. There were bits and pieces (some of it interesting) and way too much history and data-without-purpose. Make it shorter. Cut the presentation part of the evening to 20-25 minutes and spend more time discussing on stage with the host, taking questions from the audience, etc. Make it visual. There are no boring topics, but this topic is especially interesting and provocative. "PowerPoint numbers slides in several ways and it pays to know the difference. When you create a new slide, it gets a unique SlideID, a unique number that's read-onlyâ€¦ you can't change it manually or programmatically. Reordering the slides won't cause it to change. Once a slide is created, it keeps the same SlideID forever. SlideIndex is the ordinal number of the slide in the presentation as it's currently arranged. Move a slide around in slide sorter and its SlideIndex changes to reflect its new position in the show." "Microsoft PowerPoint has the ability to create custom slide shows, which are subsets of existing slides within your presentation. When you print a custom show, PowerPoint prints the page number defined for that slide. For example, if you print a custom show named My Show that consists of slides 2, 8, and 13 of your presentation, the numbers 2, 8, and 13 appear on the printed output. This article provides a sample Microsoft Visual Basic for Applications macro that prints out a specified custom show and numbers the pages consecutively, beginning with the number 1." Terberg Design specializes in creating unique presentations. Here is an interview with Julie Terberg from Indezine.com.